For business or for pleasure, Chania is always a great place to be. Thanks to its beautiful Venetian architecture of the Old Town and the picturesque harbor, the city of Chania is ideal for leisure walks along the waterfront, refreshing cocktails in the bars of Kum Kapi and delicious morning coffee overlooking the calm waters of the harbor. However, if you'd like to explore the wider area of Chania, 3 days is not much, but plan your stay wisely and you'll be amazed by all that beauty you'll come across. If you love beaches then opt for a cruise in the peninsula of Gramvousa and the lagoon of Balos. In Gramvousa you get the chance to visit a Venetian fortress and in Balos you'll swim in shallow turquoise waters and lie on fine sand beaches. Have you ever swum in a lake? If not, then here's your chance. Set off for Lake Kournas, where you can swim in the organized beaches formed here every summer. If lake swimming is not your thing, then no need to ignore this unique setting in Crete. Just go for a walk around the lake and sip your evening coffee in any of the lakeside cafes. To get a local taste and experience the traditional Cretan culture you might have to drive about an hour and visit small towns and villages that still maintain the old Cretan aroma. Agia Roumeli, Chora Sfakion and Palaiochora boast great beaches to soak up the sun, the sea and the sand; local taverns serving mouthwatering dishes; and last but not least buildings of the olde Cretan architecture. If you are looking for lively nightlife then Palaiochora is your choice. Restful travelers would better head to Agia Roumeli for fantastic views or Chora Sfakion for absolute relaxation. And for active guests who'd like to have a more energizing day, a visit to the world famous gorge of Samaria is a must! Depending on your pace and stamina your hiking tour through the gorge will take about 6 hours, especially if you want to capture your every moments in this fantastic geological formation. The gorge is 40km from the city of Chania and visitors should keep in mind to wear light clothes and comfortable shoes, along with their hats and sunglasses! A less known, yet equally challenging gorge is the one in Therisso village, 15km away from Chania. Here visitors can savor the rich flavored Cretan delicacies in the tavernas found there. If you are lucky enough you might even get the chance to see some of Crete's indigenous goats, called Kri-Kri. We could keep on listing all the fun and interesting things you could do in Chania, as this blessed piece of land in Crete is filled with possibilities and beautiful places waiting to be discovered. So, choose carefully and visit some of nature's masterpieces! 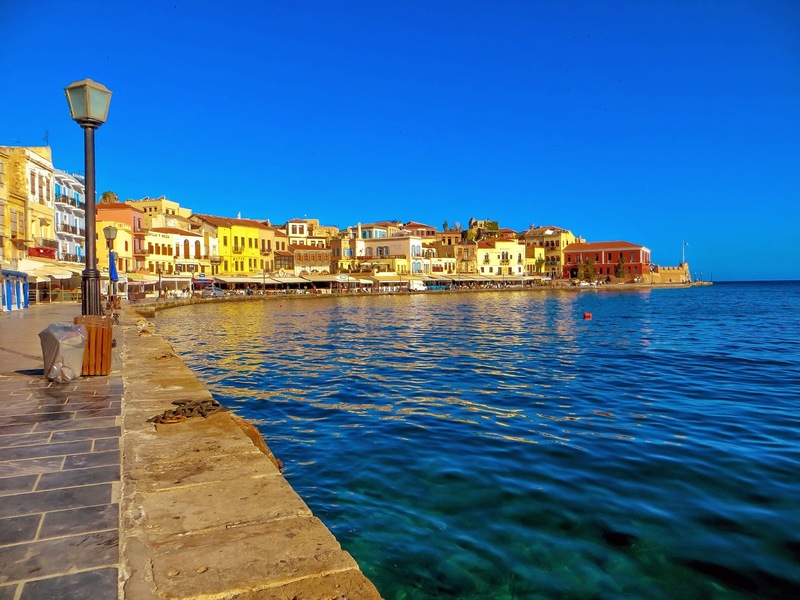 Here's is a list on Foursquare with suggestions for three wonderful days in Chania!